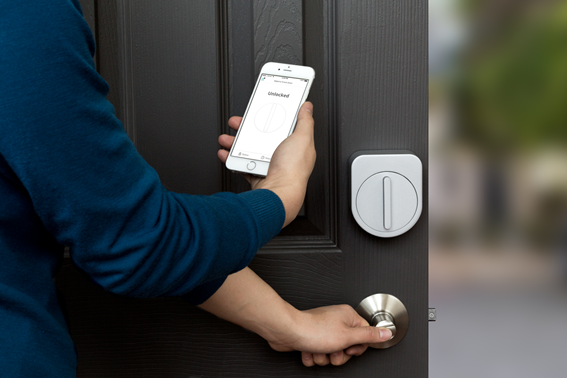 Palo Alto, CA, April 21, 2015 — Sesame – the world’s first instant smart lock – is now one of the hottest projects on Kickstarter, which has raised more than one million dollars since launch. Currently, more than 6,000 supporters have backed the project. Jerming Gu, the inventor of Sesame, said he wanted to bring the joy of technology to regular people with affordable prices. Sesame is also designed to accommodate the fast changing nature of technology. In deed, the consumer electronics technology changes year by year. Any users of consumer electronic products – whether it’s a lock or a phone – they will be forced to upgrade the hardware often. “You might want to have a new phone every year but you may not want to construct the door every year just for a newer digital lock,” said Gu. That’s the problem Sesame is trying to solve. Now Bluetooth 4.2 is coming, Gu just swapped to the new version 3 Bluetooth chip in mass production. “Also, the long-distance wireless charging technology is about to hit the market, I feel everything is changing too fast,” said Gu. 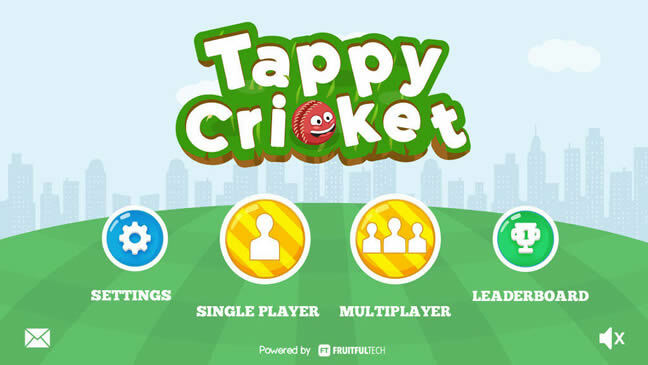 Melbourne, Australia and Hanoi, Vietnam, November 20, 2014 — /EPR WEB2INNOVATIONS NEWS/ — Fruitful Technologies, a mobile development firm has just announced the official launch of its first mobile game, Tappy Cricket. Tappy Cricket is a fun take on the popular sport of Cricket and is aimed primarily at the casual gamer. Gameplay involves tapping on the screen to keep Tappy the ball away from obstacles in typical social cricket settings, including the alleyway, beach and backyard. Runs are scored as the player progresses through the world and statistics kept that mirror the more formal game of cricket. Tappy Cricket features both single player and multiplayer modes. In single player mode, players vie for the highest number of runs in the game’s international leaderboard. In multiplayer mode, players can challenge family and friends to a variety of Cricket matches such as Twenty 20, One Day International and Test Matches. Allan Bennetto, Founder of Fruitful Technologies and Tappy Cricket said: “Cricket is the world’s second most popular sport behind football with an estimated 2.5 billion fans in the world. Many of these fans are located in Asia, where there is an perfect storm of cheap, powerful devices coinciding with new faster networks and data plans. And they love games. With Tappy Cricket, we didn’t just want to create another simulation style game. We wanted to gamify the whole social cricket experience so the anyone could play regardless of age. We wanted the Grandparents to be challenging the Grandkids. Se we ended up creating a game with a really simple games engine, but bolted on a sophisticated stats engine to record all player details, just like in professional cricket. Tappy Cricket is free to download and play. The game is available in the Apple App Store for iOS devices and Google Play for Android devices. Tappy Cricket is a wacky and addictive take on the classic game of Cricket. Extremely easy to pick up and play, Tappy Cricket provides hours of fun for players of all genders and ages. Simply tap the screen and send Tappy the ball through various cricket worlds and obstacles and compare your runs, highest score and average against the best. Tappy Cricket is available for free for iOS and Android devices. For more information, visit www.tappycricket.com. Fruitful Technologies is a mobile application development company and a venture capital firm for start-ups wishing to enter into the competitive mobile arena. Fruitful Technologies takes pride with creating beautiful and immersive custom mobile applications for its clients based on their requirements. Fruitful Technologies serves a worldwide audience and currently has offices in Melbourne, Sydney, Hong Kong, Hanoi, and Amsterdam. For more information, visit www.fruitful.io. If you have ever been involved in a construction project, chances are that you have celebrated the day that you can walk through and create a punch list of items that await final completion. Construction Punch Lists mobile application by Moore Quality Apps now allows anyone to create and e-mail a professional punch list directly from the job site. Construction Punch Lists by Moore Quality Apps is now available worldwide on iTunes. Features include multiple project lists, integrating pictures and contacts directly from the device, and sorting items before sending. The application can be used on an iPhone or iPad and can be purchased in English and Español. For more information, visit www.constructionpunchlists.com. WEBST Consulting S.A., a mobile application developer, proudly announces the launch of its new project, «Cooktorial», available for iPhone and iPod Touch. Cooktorial is a recipes application, mainly addressed to the novice cook, although it can be of value to the more skilled cook as well, given that its main idea is to suggest what can be cooked based solely on the ingredients already available at home. GeniusWave announces Wordle for Android. The word play anagram game, is now available in over 10 Android App Stores Worldwide. The highly popular iTunes app brings the exciting and fast pace game that you can play solo or with a team, in three or thirty minutes to Android devices. The new version also enhances the 3500 puzzles and built in dictionary, making it even easier to pickup, play and learn. A great family game for both kids and adults, this anagram game comes with different levels and is quick to learn and play. Kids and adults alike build vocabulary, improve spelling and have some competitive fun along the way. Watch out, the challenge can be so addictive. Simply combine six letters on a shelf to make as many words as a player can build in three minutes. “With the growth in popular of Android devices, we have had a lot of requests to bring the popular app to Android,” says Greg Dierickse, Founder and CMO at GeniusWave. Greg also adds, “We love the early reaction from our Android users, especially ones where Moms and kids have commented that is a much better use of time, than playing games where you destroy zombies, bunnies or birds. “Not only did we bring it Android we want to put the app in multiple stores, including stores worldwide. A worldwide availability also helps kids and adults learning English as a second language have access to a fun way to improve their vocabulary”, says Erwin Chiong, Founder and CTO at GeniusWave. • Mix it up – play games that exercises the brain, not just destroying things. 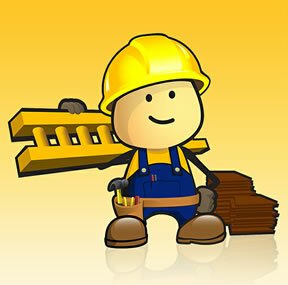 Wordplay gives a mental workout, builds vocabulary and helps achieve learning goals. Kids can work on spelling lists or those learning English as a second language, can enhnce their studies. • Don’t leave home without it, “I’m addicted, there’s nothing quite like the speed and excitement of a good, frenetic round of Wordle. I don’t leave my house without it” Heather R, Danville, CA. Dexetra, a burgeoning new application developer focusing on mobile software solutions, has announced the end to a very special and successful first year on April 1, 2011. The company founded on the principle of creating products that adds value to its users’ life, has gone a long way in accomplishing the targets it had set for itself. Dexetra already has 5 Apps on iOS, 8 on Android, 3 on BlackBerry and 2 Apps on the Windows Phone7 marketplace. “As with any new age company, we also do believe that the value being offered to the end users should be the highest priority. Unless the motive is to help people enhance their life experience, success would, inevitably, be an elusive virtue” says Narayan Babu, CEO & CTO, Dexetra. The company has industry giants to thank for; Google & Microsoft through the Biz spark Initiative. It was the Google Developer Challenge that made a group of techies to come together and form a team to come up path breaking and revolutionary product to lay claim to the honors. It was not long before the young entrepreneurs knew what was going to be the “Winner” Product: Friday. The goal was to help users remember their lives forever. “We thought since your smartphone would be the gadget that spends most the time with you, why not tap into it, to mine information. The App would log the info with minimal manual efforts. And later, here comes the best part, the user could ask questions in English and ‘Friday’ would give them accurate results. Another way to look at it? ‘Google search of your life’. A way to honor our motivators” Quotes Mr.Babu. It was not long before the founders were convinced that the Friday needed more attention and subsequently Dexetra was incorporated. On this very special day, Dexetra has come up with its own way to show its gratitude towards the SmartPhone users. Dexetra is offering all its Paid Apps on iPhone and BlackBerry for Free. The price for the Android Apps would be set at the lowest permissible limit for an Android App. In addition to this, Dexetra is also launching its latest offering for Android (Mobillionaire). Mobillionaire is multiplayer strategy game. The company would be introducing this to the iOS in the near future. The company hopes the support would continue to grow even further and would be a motivating factor for Dexetra come up with more innovative products. Interact, a leading supplier in intelligent intranet software and MindMeister, providers of on-line mind mapping software, are pleased to announce a strategic technology partnership. The agreement allows the two companies to combine their industry leading software solutions. MindMeister is the market leading and multiple award-winning web-based collaboration solution that uses proven mind mapping concepts to facilitate multi-user planning, brainstorming, and project management sessions all from within a standard web browser. Interact Intranet is an easy to use, collaborative turnkey solution trusted by over 250,000 users. It is an intelligent intranet solution that learns as people use it, adapts and automatically connects relevant information to people. Powerful enterprise networking tools actively promote internal communication, collaboration, idea sharing and cross-organisation participation. It is modular in its architecture allowing organisations to add the components, resources, and services that are required as the business evolves and grows. As a result of the new integration, Interact Intranet users will be able to access the MindMeister mind maps via the intranet to brainstorm or plan new projects. They will be able to simultaneously work with colleagues on the same map and see changes as they happen within the intuitive and familiar intranet interface. Interact Intranet is an ideal platform for forming strategic relationships. With over 250,000 users worldwide and an ever-expanding list of high-profile customers, opportunities are consistently being produced to cross-promote new solutions for the end-user via the Interact Intranet Partner Program. BlooSee.com, a new, free Internet service, brings Web 2.0 to ocean lovers by allowing people from all over the world to map and share information about the ocean.BlooSee It’s a bit like wikipedia, but uses Google Earth/Maps imagery and a very intuitive interface. Also, BlooSee is a social network and it’s linked to other networks such as Facebook and Twitter. BlooSee.com assigns a URL to each ocean or coastal location—which allows users to share information via social networks. “If I want to blog, Tweet, or Facebook about a movie or a book, I can link to a website. But what if I want to blog, Tweet, or Facebook about a seal pod, a snorkeling spot, or a dangerous rip current? Or what if I want to have conversations about the ocean using social networks? Now I can do all of the above with BlooSee”, said Manuel Maqueda, VP of Community and Strategy of BlooSee. On BlooSee user contributions are called “infopoints,” which are bits of information shown on precise geographical coordinates over satellite images of the world’s oceans and coasts.Right now users can create 110 different types of infopoints on BlooSee. Some infopoints are navigation-related (e.g., lighthouses, harbors, and Coastguard stations) while others are related to water sports (e.g., surfing and snorkeling spots, or underwater caves). Sixteen types ofinfopoints are dedicated to dangers such as rip currents, uncharted underwater rocks, or pirate attacks. Other Infopoints are dedicated to marine art and history, such as museums, monuments, and historical sites. The BlooSee social network is synched with Twitter and Facebook, allowing Twitter followers and Facebook friends to experience the users’ activity on BlooSee. BlooSee users retain total control over how they want their BlooSee activity to be broadcast. BlooSee is in public beta and open to all users for free. “Seriously Dude? An APP about Dude? Cool.” The iTunes store today began distributing Dude and Dude Deluxe, the first Dude Apps to be released for the iPhone and iPod Touch. The Dude Apps feature dozens of hilarious “Dude” recordings. Get ready to laugh along with our pop culture’s greatest living word “Dude” and try to figure out what each “Dude” recording really means. Dude is very famous as well, appearing in Bud Light commercials, headlining major motion pictures like “Dude, Where’s my car,” helping launch the career of Keanu Reeves and that other guy in Bill & Ted’s Excellent Adventure and appearing as the title character “The Dude” inThe Big Lebowski. The blissed-out Dude: more accurately rendered as duhuhude. The dude issued upon rediscovering a long-lost (Grateful) Dead tape. Both Dude and Dude Deluxe have been launched simultaneously. Dude is a free App and contains most of the features of Dude Deluxe. For 99 cents, users of Dude Deluxe receive additional Dude recordings, have the ability to set any Dude recording as a ringtone, can send recordings via email as MP3 files, and can prank their friends with Dude Alarms and Dude Bombs. The APP Company is a leading iPhone applications development company. The APP Company has two divisions, one that develops iPhone applications internally, and the second, APP Last Mile™ which partners with entrepreneurs to invest, develop and provide marketing and management services for their app ideas. The APP company’s core purpose is to provide iPhone owners with interesting, exciting and useful applications by investing in the most creative and selective ideas. Mobile App Studio, developer of premium mobile applications for the iPhone and iPod Touch, announced today the release of the iShoes and iBags fashion apps on the Apple App Store. Following the successful launch of Apple’s iPhone mobile platform last year, there are now over 30 million iPhones and iPod Touches in use today. Users of these devices can download applications to their phones that fit their interests and needs. The iShoes and iBags applications give users the ability to entertain themselves by casually browsing shoes and handbags f r o m their phones, leading to the discovery of new products and brands that interest them. They can also narrow their search to their favorite brands or a specific type of shoe or handbag when they have specific shopping needs. Users can add any products they see to their Favorites list, and then email this list to themselves or their friends. The email option is key because it gives users the option to review their selected products later f r o m their home computer, as browsing retailer websites and making purchases via mobile devices is not as easy as it is f r o m a normal web browser. The focus on a single fashion product in each application, combined with simple navigation and browsing options, also makes the apps well suited for small mobile devices. There is even an offline mode available that allows users to download a set of shoes or handbags in advance and then browse them when on an airplane or out of range. iShoes and iBags bring over 50,000 shoes and 20,000 handbags to the iPhone. The applications search hundreds of brands sold by over 100 retailers via ShopStyle.com. The products on display are constantly updated, allowing users to keep up with the latest styles available each season. iShoes and iBags are available as a free download on the Apple App Store. Located in Crawfordville, FL, Mobile App Studio was founded in 2009 by Ryan Pream and Carleen Ghio. The Mobile App Studio develops premium lifestyle apps for the iPhone, iPod Touch and other mobile devices. New search engines are ready today! An innovative search engine module was released to enhance and add value to your company’s existing digital assets. On October 15, 2008, a multi-dimensional search engine module, MDCache was released by Netsolutions, Inc. It’s a Java library with a simple API to search data by multiple keys efficiently & effortless. This software makes it possible to develop web 2.0 ready, unique search engines; such as recommendation engine, image search engine, sound search engine, correlation analysis, location search engine & pattern recognition engine. Check out http://mdcache.com/ for more details. Multi-dimensional searching means searching with multiple keys. MDCache makes it possible to search complex data more efficiently than general databases. It also enables high-performance searching by multiple keys without distributed processing of multiple servers such as with MapReduce. The main benefit is that it can be utilized for converting existing digital assets into unique web 2.0 ready applications -or- new generation search engines at a much lower cost. A database has become an essential commodity for businesses, and using databases in general is popular in today’s digital world. On the other hand, there are case studies of successful players who provide valuable services based on unique data models. The unique data models come from their independent research and analysis. MDCache was developed to produce unique data models by utilizing existing digital assets easily & efficiently. MD is an abbreviation for multi-dimensional. Cache means data storage to retrieve efficiently. MDCache was named as a multi-dimensional caching solution which enables developments to go beyond the limitations of general databases; while utilizing existing digital assets effectively. Netsolutions, Inc. is a start-up IT company located at the bottom of Mt. Fuji in Japan. The idea of different scales, realizing unique networks and the greatest possible attention to detail are what make Netsolutions a dynamic, results-driven organization.